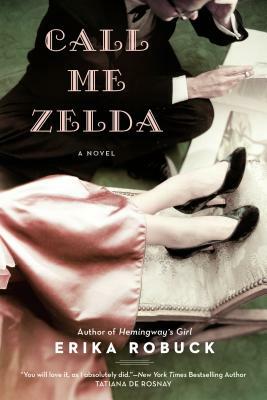 What did you most enjoy about Call Me Zelda? Did you make an emotional connection with the characters? The novel depicts the marriage of F. Scott and Zelda Fitzgerald as one of soul mates who destroy each other even as they can’t quite live without each other. Why do we find such relationships so fascinating? Can you think of others like it? Are they more common in literature than in life? Zelda does not narrate the story, but the title bears her name and she is obviously central. Discuss the triumph and tragedy of her life. What do you feel for her? Do you understand her? What aspects of her character most fascinate you, and what relevance does her life story have for us today? Does Anna blur the boundaries between her professional care for Zelda and her personal feelings for her? Are there times when Anna’s affection for Zelda causes her to make poor choices regarding Zelda’s care, and in her own personal life? How would you have handled the situation? When the novel opens, Anna is stuck in life, having spent years mourning her lost husband and child. What is preventing her from moving forward? What ultimately allows her to embrace life more fully, and what role does Zelda play in that change? Does the novel suggest that there is an honest link between the drive for artistic expression and out-of-control behavior that sometimes masks the artist’s inner torment, and can even lead to mental illness? Does the novel suggest that artists are justified in “acting out,” or is that just an excuse for their bad behavior? Consider Zelda’s attempts at self-expression, and Scott’s struggle to finish his novel. Consider Sorin’s musical composition and his explanation to Anna of his creative process. What is Peter’s role in the novel? Why did the author include a Catholic priest, and give him such a close relationship with the narrator, Anna? What is Sorin’s role? Is it important that he turns up late in the novel, after being absent for many pages? Discuss how the various mothers in the novel express love for their children. Is it different from the way the fathers express love? Why do you think the author includes the ghost at the abandoned home where the Fitzgeralds once lived? Is Anna’s sensing a ghost all that different from the inner voices that Zelda hears? When Anna decides to try to find Zelda’s diaries for her, Peter quotes a verse from the Bible: “There is no greater love than to lay down one’s life for one’s friends.” Discuss how both Anna and Zelda, and other characters, take risks and make sacrifices for one another. In your own life, how have your friendships been shaped by the sacrifices you’ve made? Toward the end of the book Anna takes a journey by car in 1948 that is quite different from what a similar journey would be like today. Drawing from your own experience and understanding of the day, talk about what travel and communication were like back in the 1920s through the 1950s, especially before the interstate highway system was built after World War II and before long-distance phone calls became routine. Compare the psychiatric care that Zelda receives in the 1930s to what she would likely receive today. In what ways might her care be improved and in what ways might it be worse? Would she have as many choices now as she did then? Have you read Zelda’s novel Save Me the Waltz or Scott’s novel This Side of Paradise? Does reading this novel make you want to take on the challenge of reading and comparing them? Finally, what do you think you will take away from having read Call Me Zelda? What aspects will resonate and linger for you?